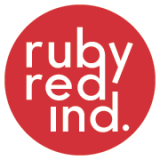 Ruby Red Industries Retro/Vintage Store is a treasure trove of all things vintage, retro, quirky, rare, classic and collectable. It’s the realisation and beginning of a bigger dream she had for a number of years. Ruby Red’s own collection of both small and large vintage treasures adorn her home and bring a beauty and comfort to her life on a daily basis. She thought it about time to put her good eye for finding little beauties to good use and help others in their quests to find these no longer produced items. You can find her collection of retro and vintage wares here on the online shop as well as at Ruby Red Industries Suitcase Rummages and other markets. So whether you are local or anywhere else in Australia Ruby can still help you to find your vintage desires.